and initially, it was a very challenging experience. At one point, I gave up on my planned “speech” and spoke, from the heart, about a child that I teach that I care very deeply about. 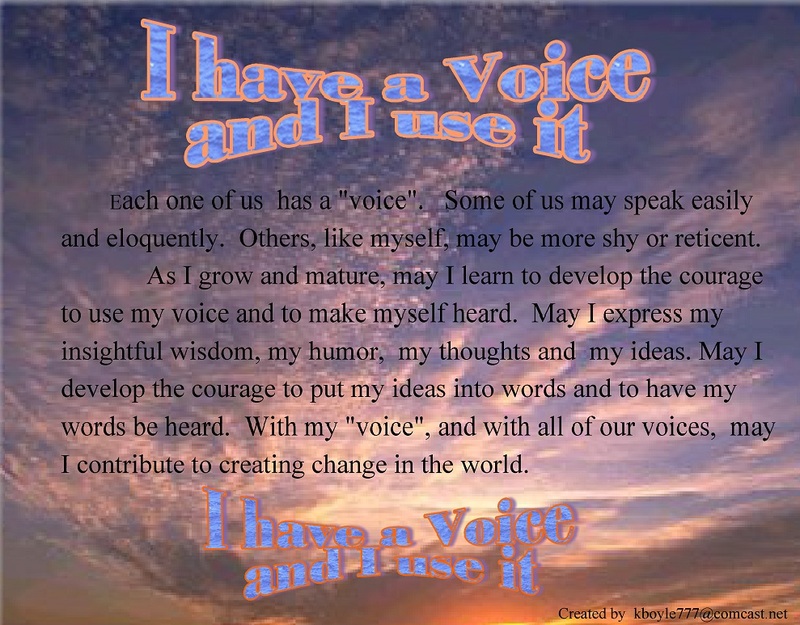 And I found out that when I feel a deep passion for what I’m talking about, that speaking in front of others is okay; the speaking was no longer “self centered” or self conscious, but rather about my deep commitment to the progress of that child. 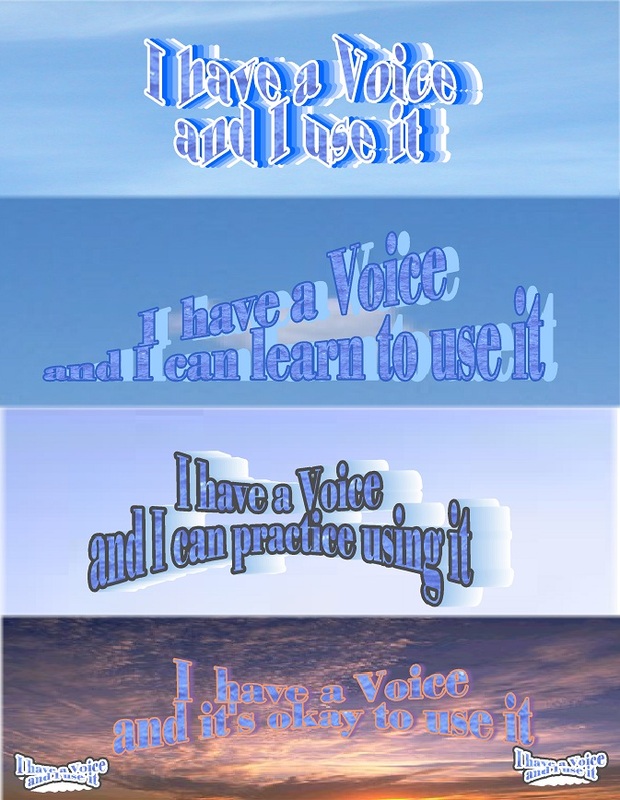 Here is a page that I made after giving that speech. Click on image to enlarge, above, for easier reading. 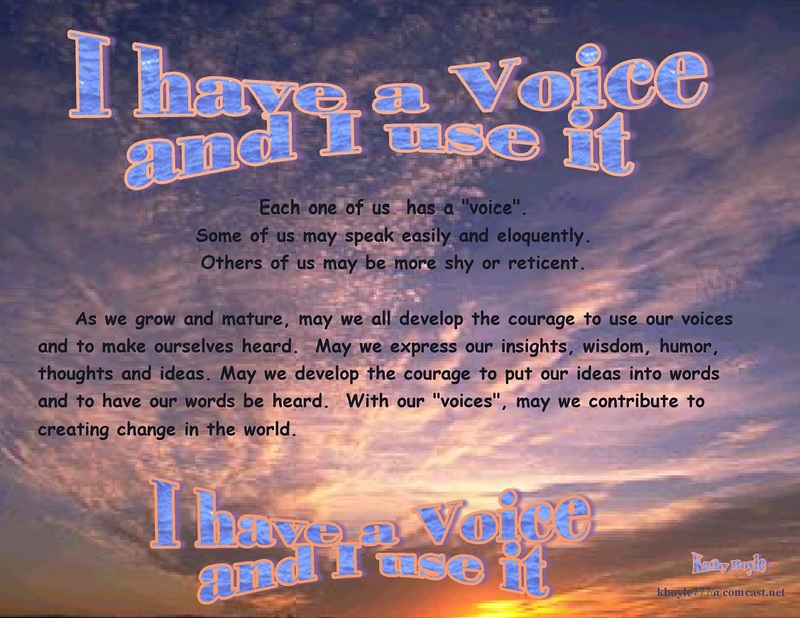 11/2011 I revised the first “I have a voice” slide show….here’s a link to a post about that process of learning to use one’s voice…“The courage to have a voice and to use it”….so it applies more to learning to use that voice…to have the courage and try and practice….something I’ve been doing…. Great post Kathy! 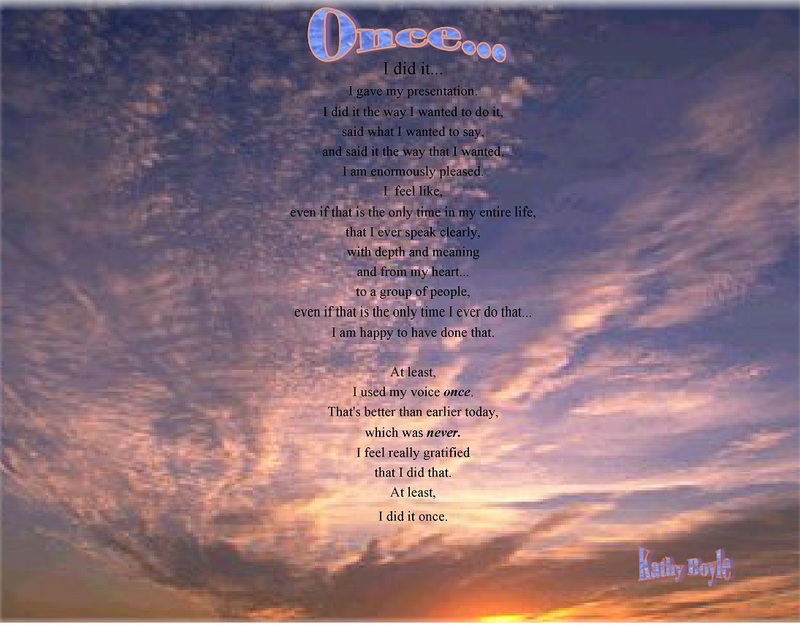 I enjoyed reading your poem, thanks for sharing. 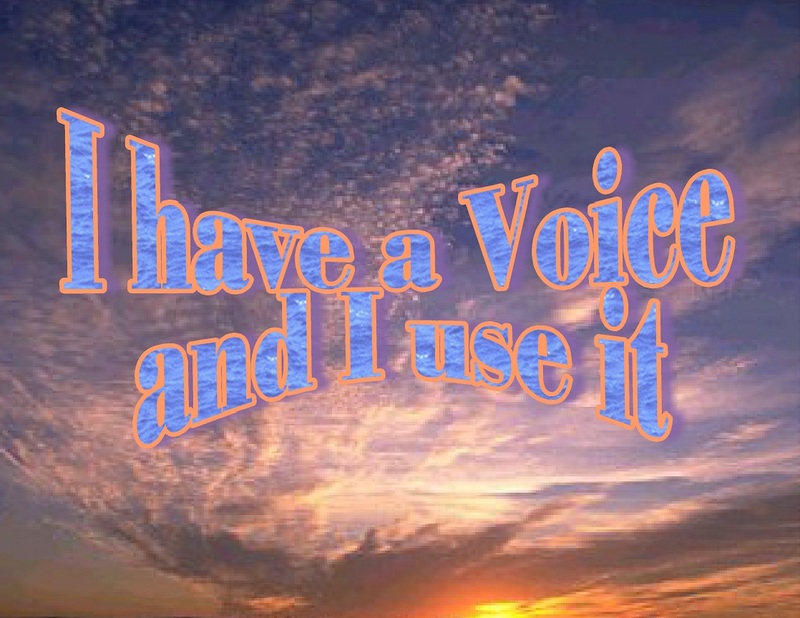 What you said about at least you used your voice once, rather than never, is a very good thing to remember and I think that would be encouraging for a lot of people who are hesitant about giving a speech. I’m glad your speech class helped you overcome a lot of your fears with public speaking, doing both Toastmasters and a college public speaking class has helped me tremendously as well. It’s funny how I used to absolutely hate presentations but now I don’t mind them as much and I feel a lot more comfortable with them. Thanks for sharing!